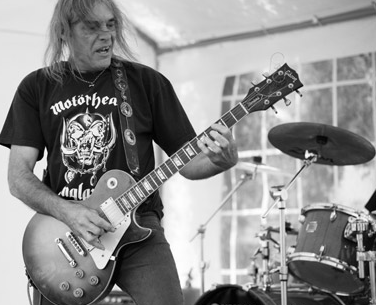 Motorhead guitarist, Michael ‘Wurzel’ Burston died on July 9th from ventricular fibrillation caused by heart muscle disease (cardiomyopathy). He was only 61 years old. Before he died, Wurzel was working on new material with his new band, Leader of Down, who had previously announced the release of their debut single for early 2010. The following day, Lemmy dedicated Motorhead’s performance at Sonisphere Festival in Knebworth to his memory.